Come and immerse yourself in the Christmas spirit through singing and music! The concert will focus on the festival of Christmas as it is experienced by adults and children; the real Christmas in our families and our communities and the fantasy of what we imagine our ideal Christmas to be, with Carols and Songs (and some instrumental pieces!) that cover the different ways we have celebrated the festival from the Middle Ages to the Modern Era. The programme will feature well-known gems and also lesser known treasures of the Christmas repertoire; something for everyone who loves this time of year! 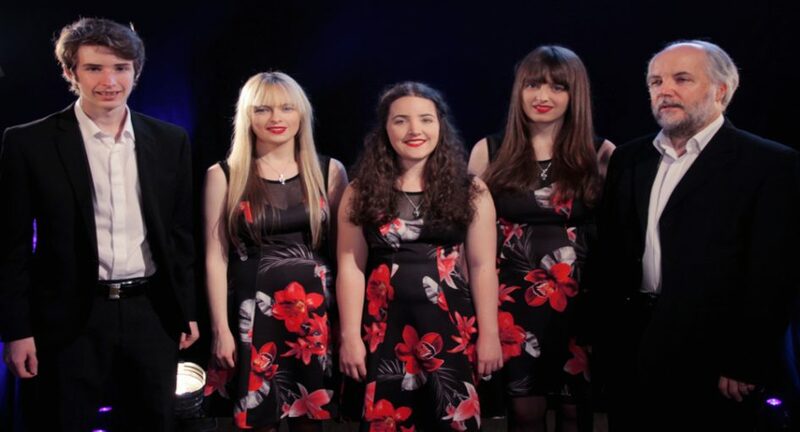 Classic Harmony (formerly the Kelly Family Vocal Ensemble) featuring Frank, Rebecca, Orlaith, Emily and John, come from Ashford in Co. Wicklow. Frank, who is a musical director of five choirs in Wicklow and a choir for blind and vision-impaired people in Dublin, leads this award-winning Ensemble. The group sings in close harmony, a cappella and with instrumental accompaniment on Piano, Keyboard, Guitar, Harp and Tin Whistle. One of our favourite and most talented local musicians the wonderful violinist Alan Smale, will be a special guest on the night. Come and make a magical start to the holiday season & enjoy a glass of mulled wine – only three days to Christmas!